Dark Horse is thrilled to announce the grand finale of Bryan Talbot’s epic anthropomorphic steampunk detective thriller with Grandville: Force Majeure! The Eisner and Hugo nominated series began in 2009 with Grandville, followed by 2010’s Grandville Mon Amour, 2012’s Grandville Bête Noire, and 2014’s Grandville Noël. 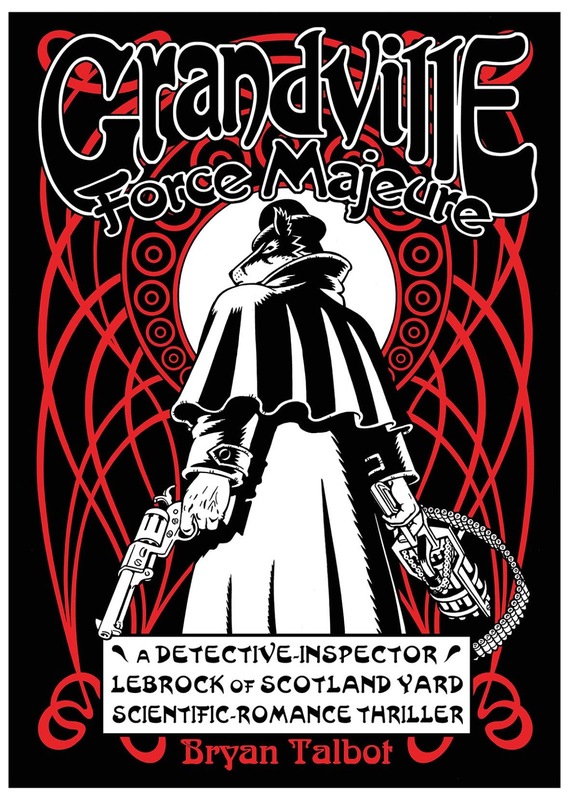 Grandville: Force Majeure finds Detective Inspector LeBrock wanted for murder and on the run from gangland overlord Tiberius Koenig. But LeBrock is a fighter and now, battling against insurmountable odds, the British Badger needs every ounce of his strength, deductive skills and tenacity to in order to survive. Can he make it? Bryan and Mary Talbot's The Red Virgin and the Vision of Utopia was nominated for a United States National Cartoonist’s Society Reuben Award. The winners will be announced on May 27 at the NCS Reuben Awards dinner in Portland, Oregon. The Grandville: Force Majeure hardcover goes on sale November 1, 2017, and retails for $24.99. The 176-page masterpiece is available for preorder on Amazon, Barnes & Noble, TFAW, and at your local comic shop. Visit DarkHorse.com for more information.